‘Cuda. For me, as a surfer, it would be a “Woodie,” speciﬁcally the 1950 Ford Country Squire Wagon. 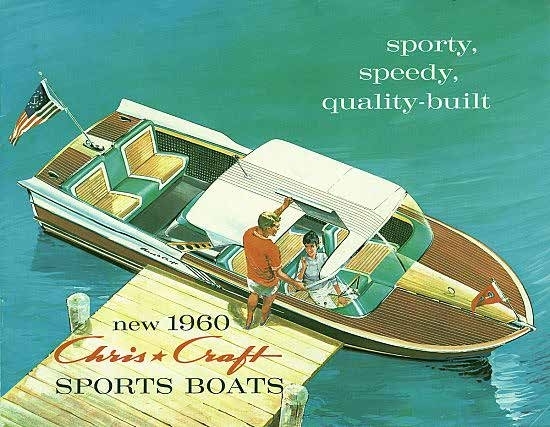 But when it comes to recreational boats, we can all agree that there’s only one true American classic: Chris-Craft. 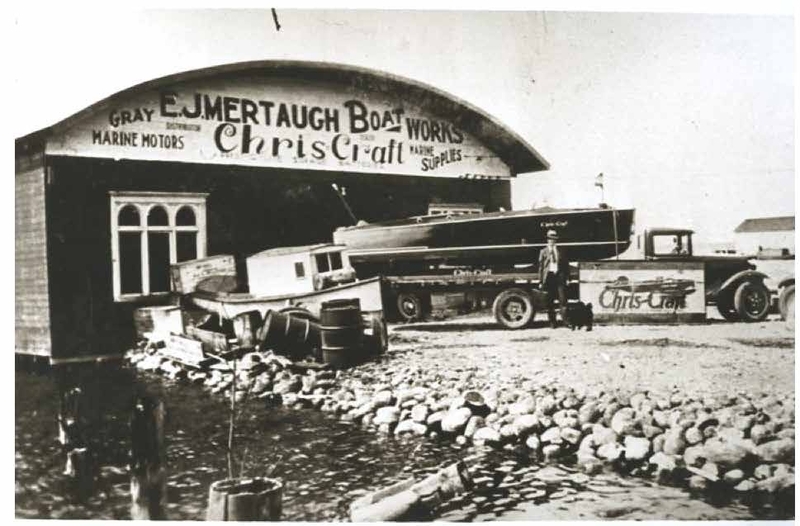 Founded by Christopher Columbus Smith, Chris Craft dates back to 1874, when Smith built his ﬁrst wooden boat in Algonac, Michigan at the age of just 13; his brother Hank would join forces with him in 1881. In 1924, they oﬃcially adopted the name Chris-Craft. In the years to follow, the company would produce everything from luxurious pleasure boats to ski boats (as well as military transport vehicles during World War 2), eventually becoming the “world’s largest builders of motor boats.” That’s because everyone from billionaires like William Randolph Hearst and Henry Ford to mere millionaire celebrities like Elvis and Frank Sinatra, desired the iconic boats. 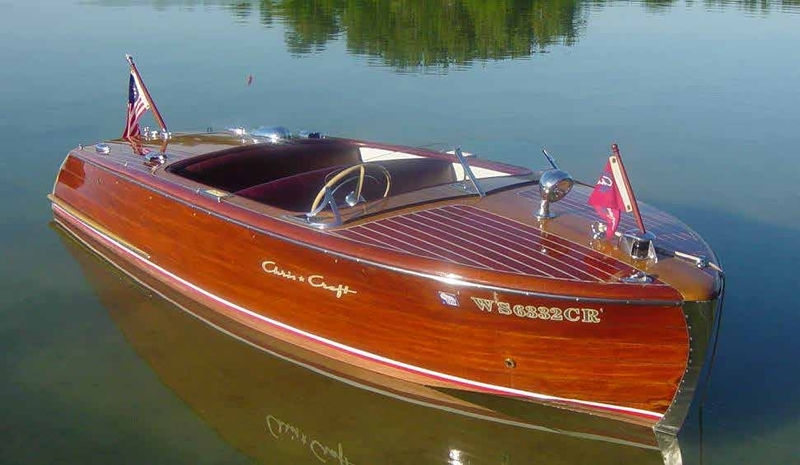 And thanks to the assembly line and the ability to mass produce the boats in their Detroit plant, as well as the option to pay in installments over time, everyone could aﬀord to buy a Chris Craft. And buy them they did. If you had the skills and the tools, you could even order the plans and materials to build your own! Just 11 years after Smith built his ﬁrst boat, avid boater, and the last reigning king of Hawai’i, David La˜amea Kamananakapu Mahinulani Naloiaehuokalani Lumialani Kalākaua, established the Hawaiian Rowing and Yachting Association. On July 4, 1889, the King’s boat “Healani” won the Islands’ ﬁrst Hawaiian Challenge Cup, often referred to as the Kalākaua Cup. “The Merrie Monarch,” as the king was known, passed away in 1891, long before he could have purchased the sort of Chris Craft boat we all long for today. But, no doubt, he, like millions of us, would have been mesmerized by the mahogany masterpieces. t-shirts: our Chris Craft Blueprint t-shirt and our Chris Craft Motor t-shirt. Wear them as you captain your classic car or boat.